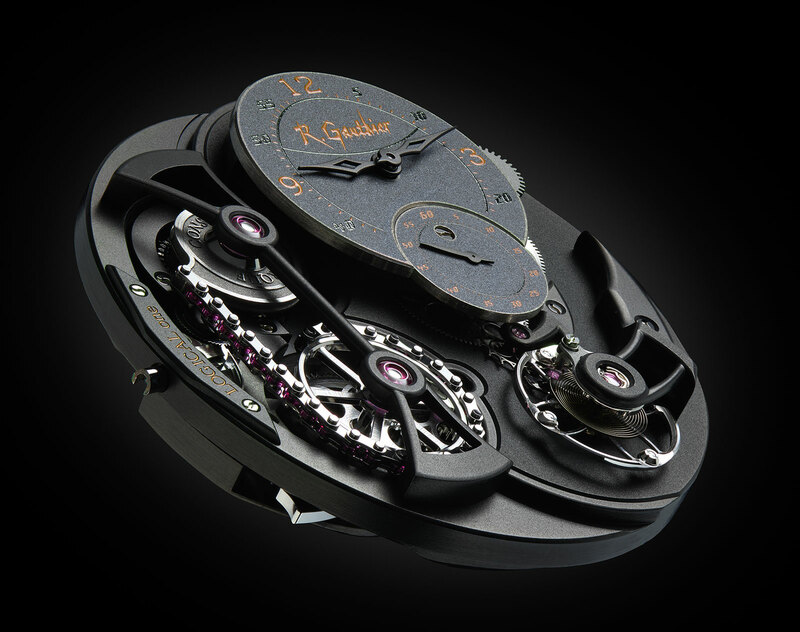 The curiously named Enraged Editions are Romain Gauthier’s take on a cutting edge aesthetic, with the all-black treatment applied to both the chain-and-fusee Logical One and time-only HMS – short for “hours, minutes, seconds”. 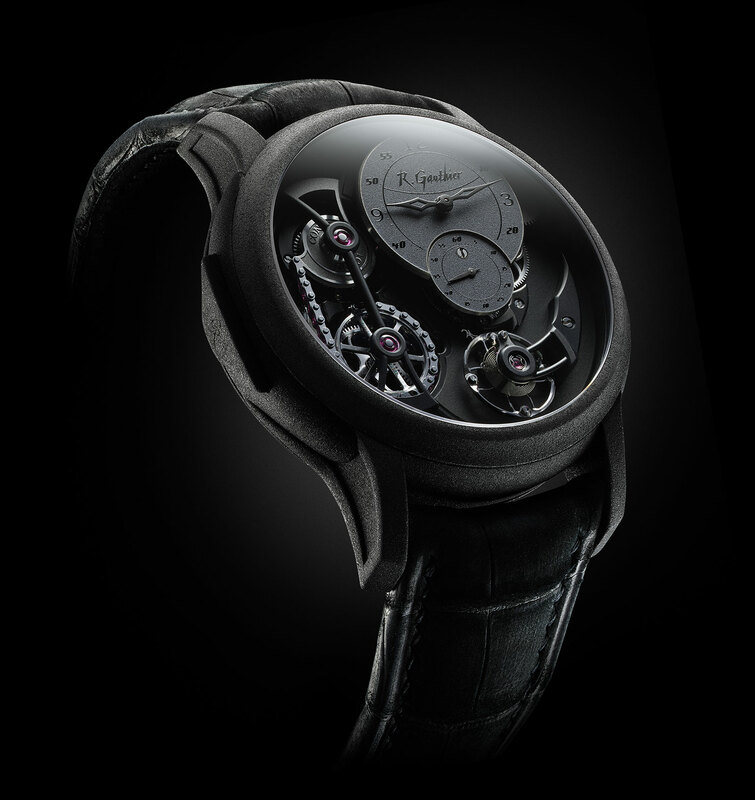 While very different from the typical Romain Gauthier timepiece, the Enraged Editions stick to the well worn formula of a sporty-ish, all-black look that is already familiar, perhaps overly so. Mechanically identical to the ordinary models, the Enraged Editions are distinguished by the surface and colour treatments of the movement, case and dial. The cases are sand-blasted titanium with amorphous diamond-like coating (ADLC), a scratch-resistant carbon layer, while the movements are similarly finished in frosted black. More interesting are the dials, which are vitreous enamel of the sort fired in an oven, and then frosted by hand to give them a matte, grained surface that looks dark grey. 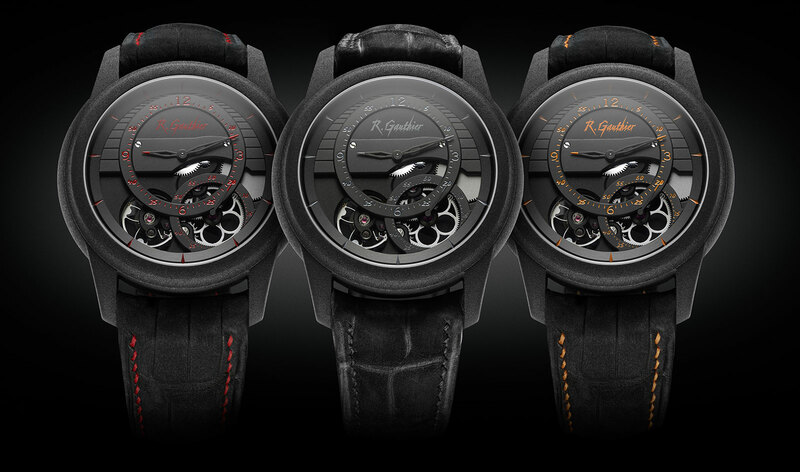 Each model is available with three different colour accents: red, orange and dark grey. 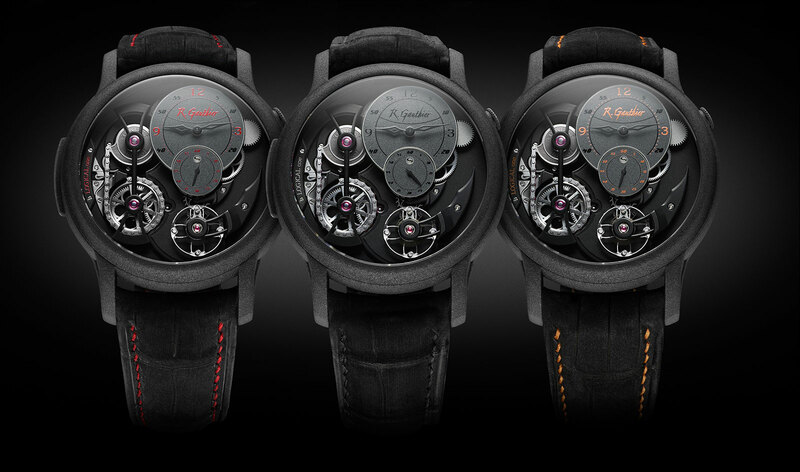 The Logical One Enraged is 43mm in diameter and limited to five pieces in each colour. And the Prestige HMS Enraged is 41mm in diameter, also limited to five pieces each. Both available in November 2016, the Logical One Enraged SFr112,000, while the Prestige HMS Enraged is SFr56,000. Prices exclude any taxes. 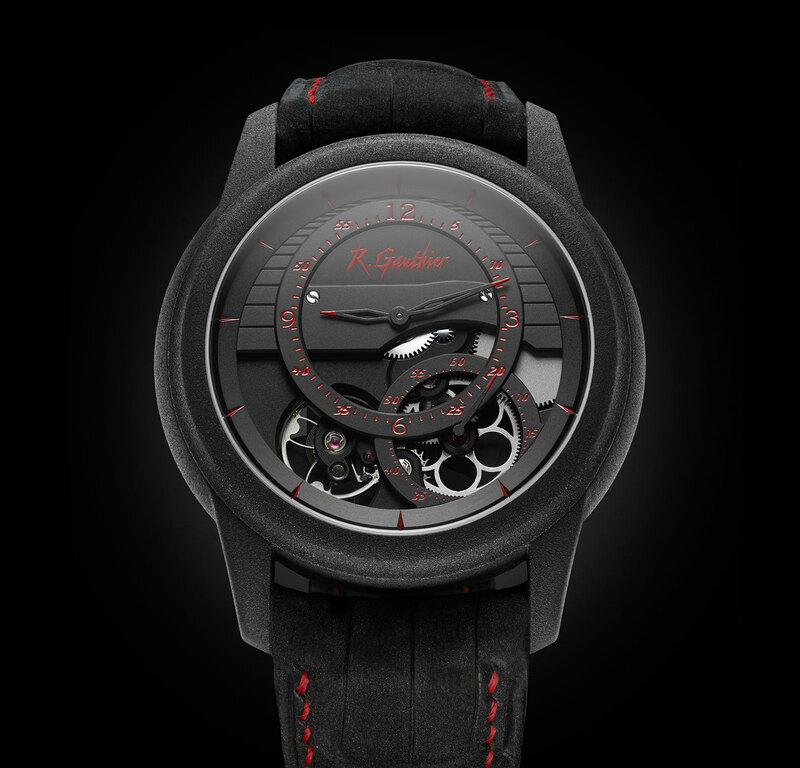 The watches are available from Romain Gauthier retailers, except for the dark accent versions of both watches that are available only at Romain Gauthier’s retailer in Shanghai, China.